You are currently browsing the tag archive for the ‘warrens’ tag. This month I will be mainly eating Warrens’ saffron cake-hot cross bun outcross. 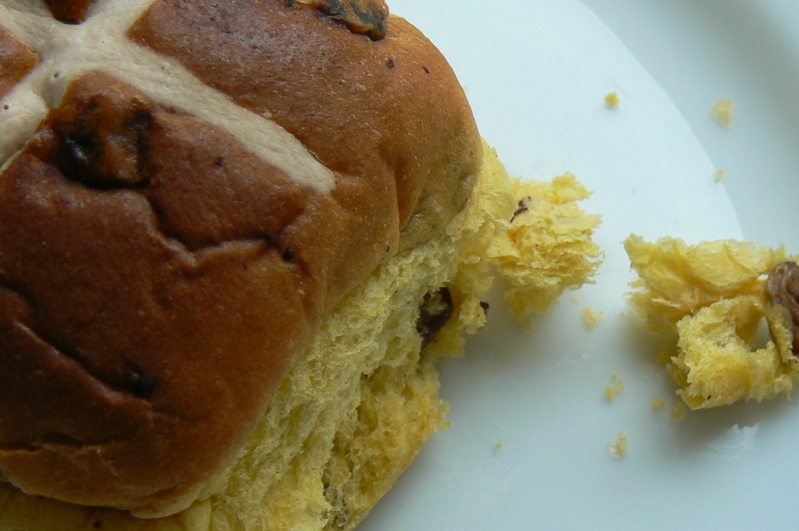 Much softer and fluffier than orthodox Cornish saffron cake – one part of the holy trinity of Cornish delicacies* – and more vivid in colour and flavour than standard-issue hot cross buns. Easter only. 80p for a four-pack! my namesake pasties and cream.